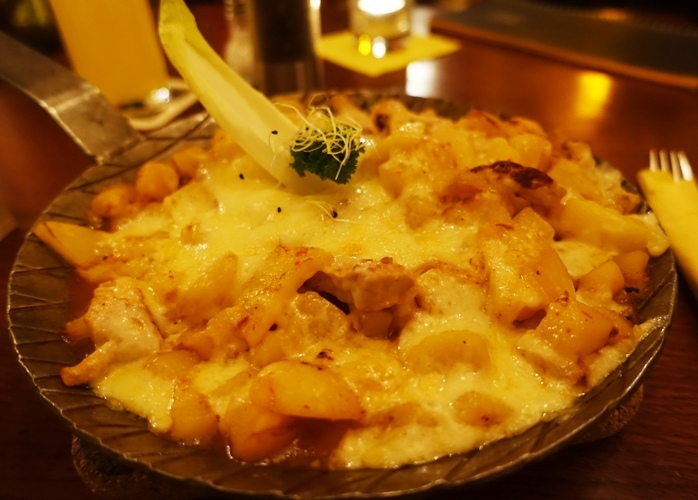 Last night I again ate at one of my favorite Jena restaurants. 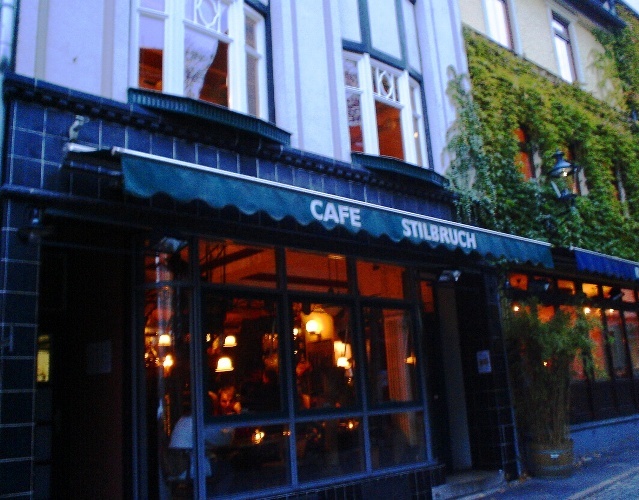 I will usually eat at Stilbruch several times when I visit Jena, Germany. I even have a cycle of dishes that I will order if I visit multiple times. Depending on the time of year it is sometimes difficult to get a table, so I always get my favorites first. For my first visit I always order the Birnen-Pfanne. of course that is what I ordered for An Anniversary Dinner last Thursday. 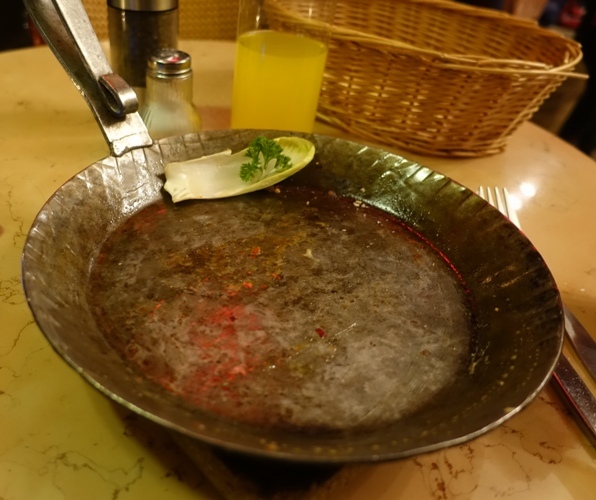 Last night for my second visit of the trip I ordered the Rote Pfanne or Red Pan. The strips of beef, onions, peppers, beans and rice all taste great together. It is also nice to sop up some of the juices with the bread. The meal was really good and you can see that I left a clean pan. 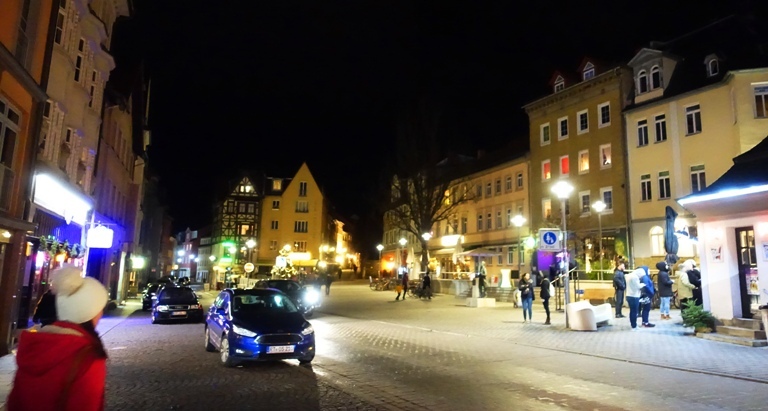 After dinner it was time to do a bit more wandering about Jena to walk off some of the food. Here is the Wagnergasse which is where Stilbruch is located. Up the little street in the center of the picture is where you can find the wonderful comfort food that they serve. It is hard to see, but there is also a statue of Carl Zeiss in this picture. It is slightly to the right of center between the tree and the walkway sign. I have some pictures that I will share in a post someday. Maybe soon, maybe later. It depends on where my mind wanders. 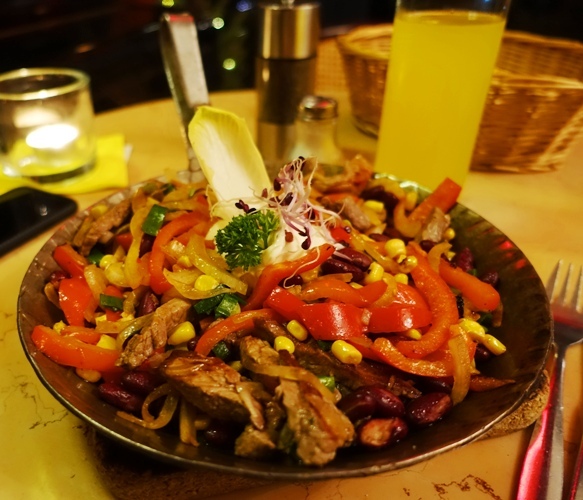 This entry was posted in Culture, Food, Germany, Travel and tagged Comfort Food, jena germany, pans, red pan, Stilbruch, Wagnergasse. Bookmark the permalink.